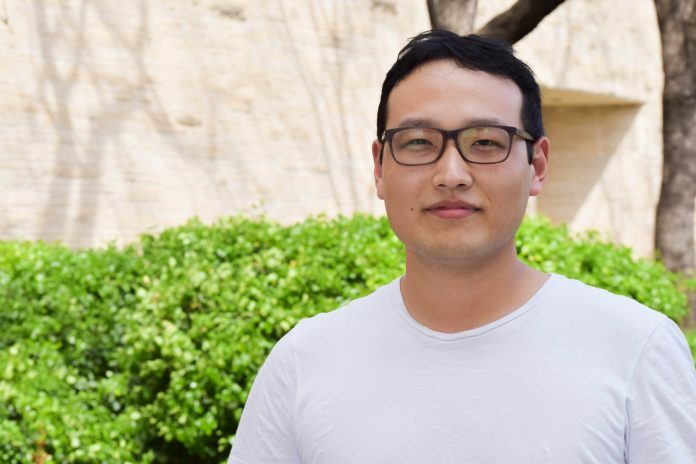 When he was a high school student in China, Yibo Liu, now a Kansas State graduate student in biology, was different from his peers in one key aspect: a heart condition. Not only did this condition keep him from attending many classes, but it also left him ill-prepared for China’s college entrance exam, the Gaokao — a test comparable to the ACT or SAT in the United States. Unlike the exams in the U.S., however, the Gaokao is only offered once per year, and students who miss it are out of luck. When Liu took the Gaokao during his final year of high school, he said he did not do as well as he had hoped — and as an aspiring doctor, excellent grades were vital. Liu said he was left with two options: either postpone college and take the exam again the following year, or settle for a different degree. Liu decided to go to Henan University to study business, but after two years, he came to the conclusion that he didn’t enjoy it. In China, Liu said, changing majors is so difficult that transferring to a university in the U.S. is often an easier option. After talking with his peers and seeing Manhattan listed online as one of the top five best places to live, he had his sights set on K-State. The only issue Liu said he faced was that his English was not yet good enough to succeed in an American classroom. When an international student applies to K-State as an undergraduate, they are asked to take the English Proficiency Test upon arrival, and depending on the score, they may be placed in intensive English classes prior to enrolling in more traditional academic courses. 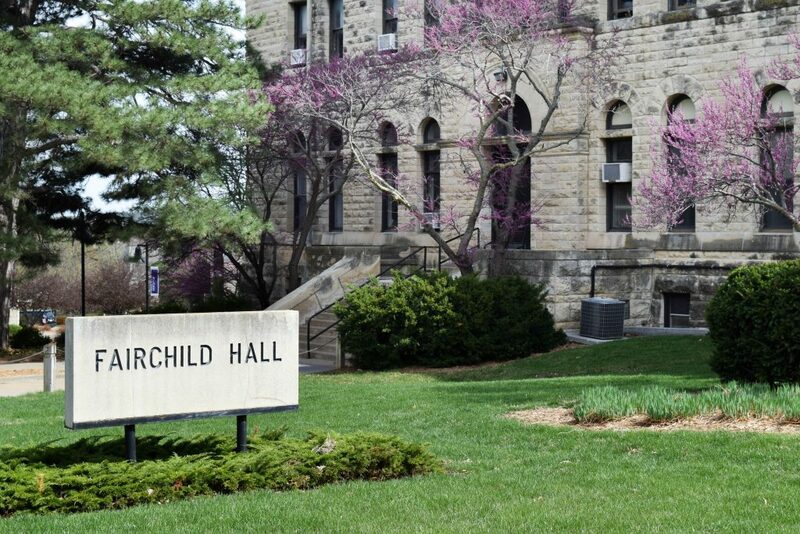 Tucked away on the second floor of Fairchild Hall, the English Language Program is specifically designed for international students who do not have the English language skills to take a typical class at K-State, said Leena Chakrabarti, associate director of Academic Student Services. The program has five levels of intensive English courses — “intensive” meaning 18 hours of classes per week — that range from beginner to exit level. Chakrabarti said there are currently about 100 students enrolled in the program at K-State. Yixuan Sun, senior in advertising, has a story similar to that of Liu; she, too, was in her second year of college in China when she wanted to change her major. In May of 2016, one of Sun’s classmates told her she was going to transfer to K-State, and after feeling sad about the news, she said she made the crazy decision to go to K-State with her friend despite the application being due in less than a month. “I was more excited than nervous because everything was completely new to me — the people, the language, the culture, the environment — but I think the language barrier was a problem,” Sun said. When it came to conversational English, Sun said she felt comfortable, but the idea of taking classes only in English was stressful and intimidating. However, Sun said the English Language Program helped her adjust. A large part of the English Language Program consists of teaching students how to listen, speak, read and write English in order to succeed at an American university. Having time to get acquainted with the American teaching style is one thing Liu said he was thankful for in the program. He said many professors at K-State have accents, speak fast or use slang, all of which were language challenges he had to overcome. Chakrabarti said the program’s staff also checks students’ attendance and whether or not they’re doing their homework. Professors in the program introduced Liu to American study tools like Quizlet and other websites and apps he said he hadn’t heard of before. The English Language Program recently transitioned into a complete performance-based method of moving students up within the program. The final exams at the end of the classes are the deciding factor when it comes to whether a student moves on to the next level or not, and if the student does not move up, they are enrolled in a two-hour academic coaching class to better help them get adjusted to the American academic system. Additionally, the advisers within the program are trained to specifically advise international students according to what their needs are. Chakrabarti said if any of the instructors notice a student that appears overwhelmed, detached from class or lagging in attendance, the case is immediately picked up by an adviser to ensure the student is well taken care of. “They understood that, being an international student, there are a lot of things you might need help with, and they’re really willing to help us in those different ways,” Sun said. On top of learning English, Liu said the English Language Program introduces students to different cultural topics, such as how to address professors and the importance of gaining permission prior to recording the audio of lectures. While the program gives students the support they need to succeed at the university, Chakrabarti said integration remains one of the students’ biggest hurdles due to both American and international students’ hesitancy to interact with one another. “I think for many of our [American] undergraduate students, going up and talking to an international person is not something they feel comfortable doing because, as human beings, I think we like to be with people who have the same culture and look like us,” Chakrabarti said. On the other hand, Chakrabarti said she thinks the international students in the English Language Program do not feel confident enough in their English to talk to other people in their classes, but those who are the most successful take a leap of faith by trying to start conversations. Chakrabarti said integration is an issue that goes both ways.